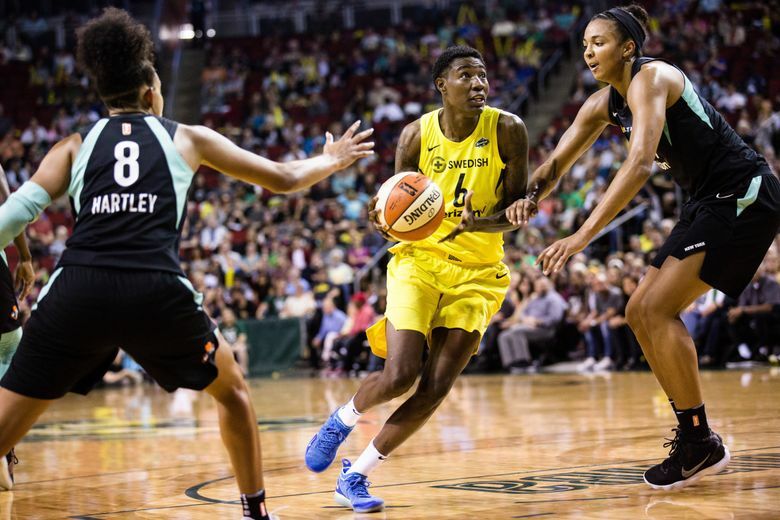 Seattle broke the record for most three-pointers in a season and clinched home court advantage and the top WNBA playoff seed with an 85-77 win over the Liberty. Three-pointer after three-pointer after three-pointer. And so it went for the Storm. 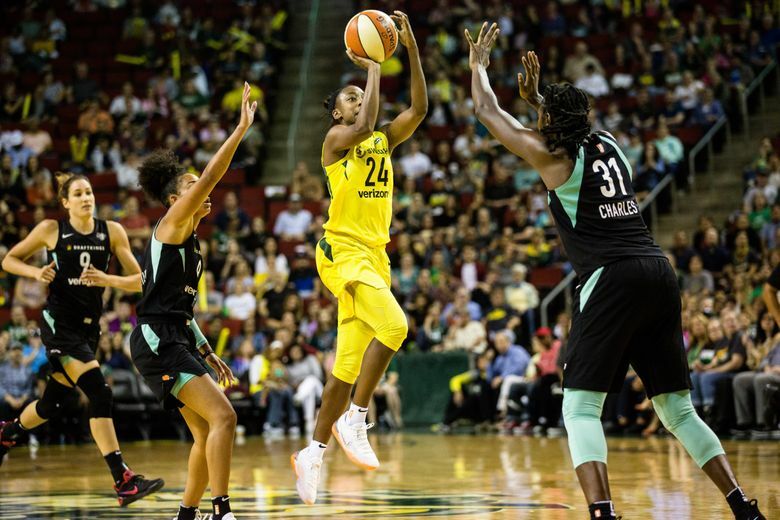 With the game in doubt and holding a precarious one-point lead early in the fourth quarter, Seattle turned to its favorite weapon to pull away from New York for a record-setting 85-77 victory that guaranteed that the Storm will enter next week’s playoffs with the No. 1 seed. 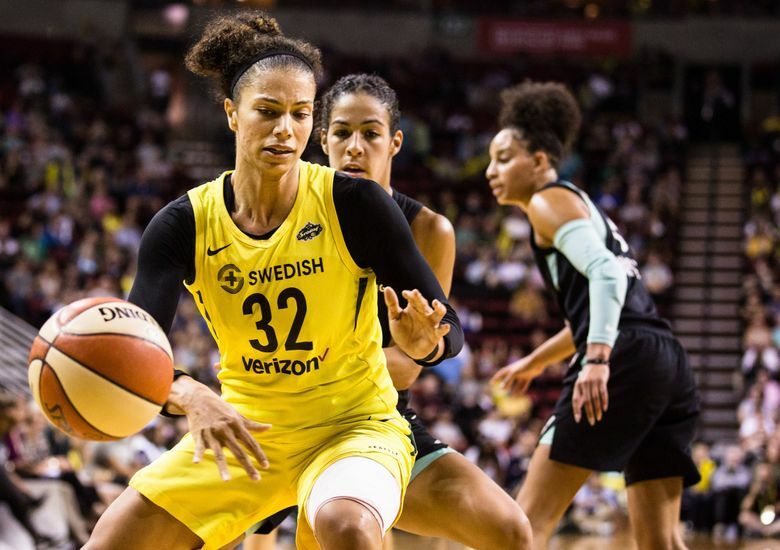 With Sunday’s regular-season finale remaining, Seattle (25-8) secured home-court advantage in the postseason for the second time in franchise history. 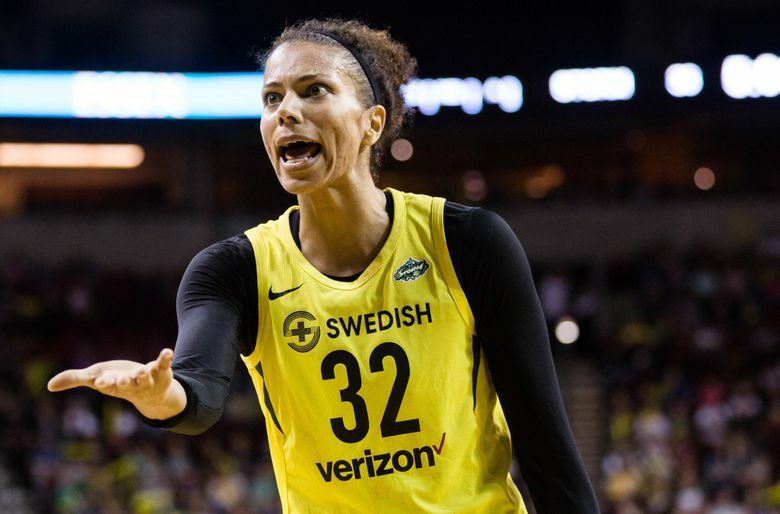 The last time was in 2010 when the Storm won its second WNBA title. 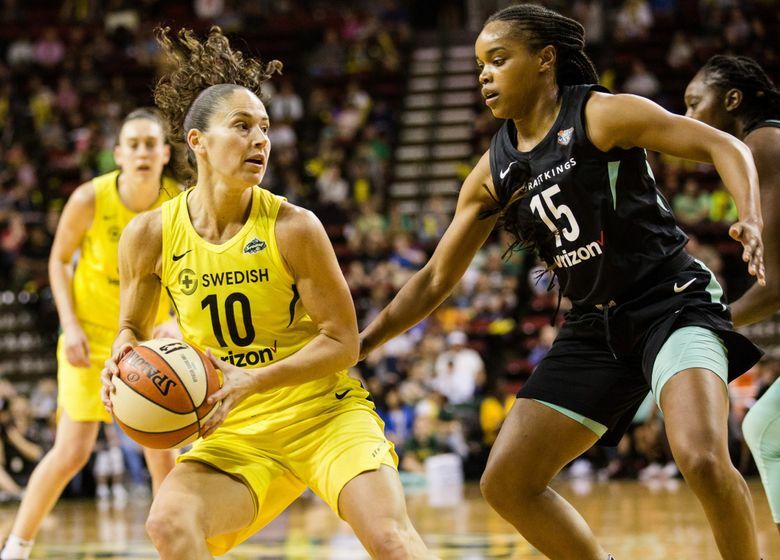 “You get the benefit of routine, being in your own bed and not having to travel as much,” said 17-year veteran Sue Bird, who played on both Storm championship teams. “And you get the benefit of your fans and feeling comfortable in being at home. 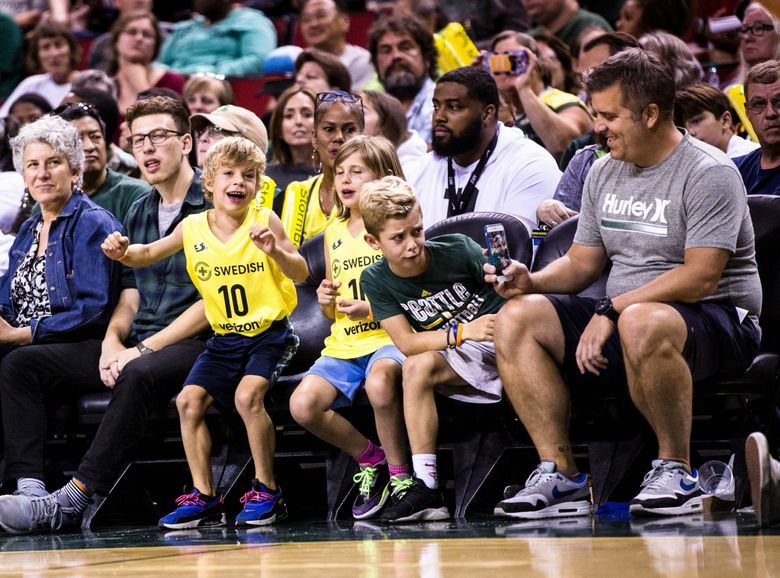 For the fourth straight game, a sold-out crowd of 10,873 filled KeyArena, but the Storm didn’t give them much to cheer about until the final minutes. 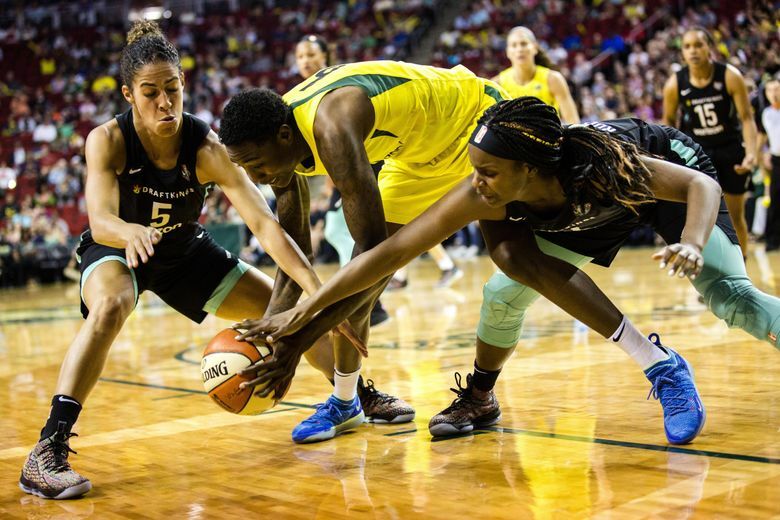 “It became a tough game for us,” Storm coach Dan Hughes said. “The thing I told the team at halftime is, it’s supposed to be tough for us at this time of the year. It’s just supposed to be. They wouldn’t go away. We made a run and they made a run. 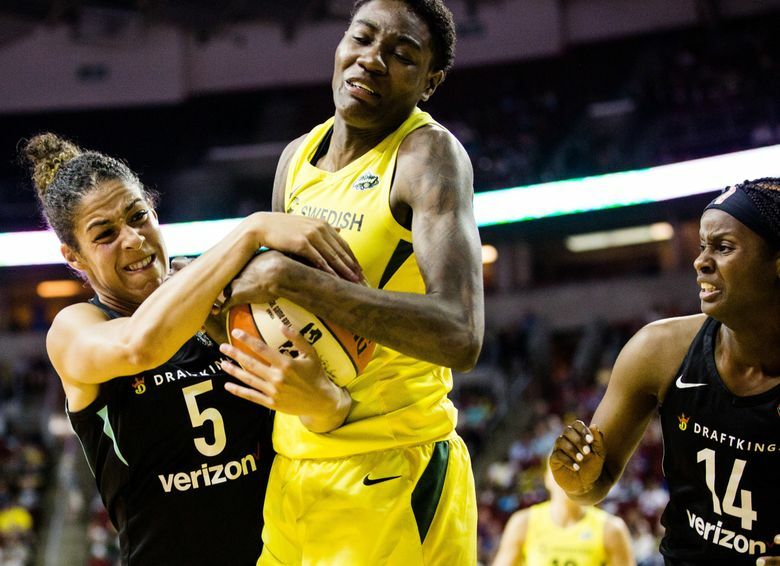 Seattle committed 16 turnovers in the first three quarters, but in the final frame the Storm had just three. 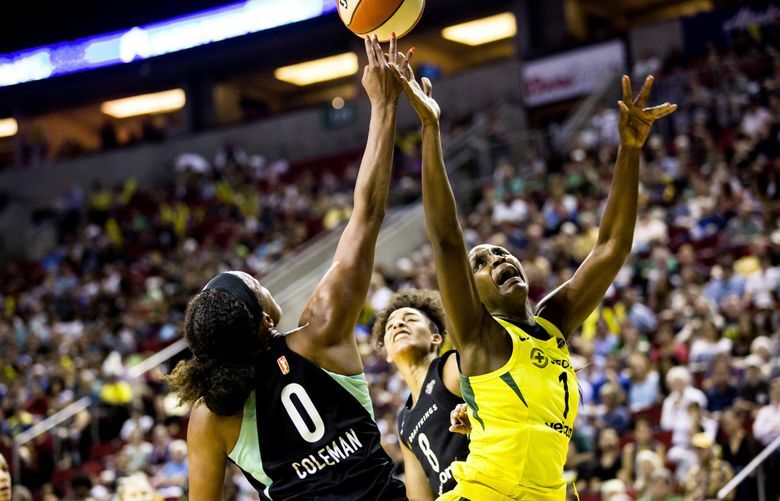 The miscues undermined a brilliant perimeter shooting display. 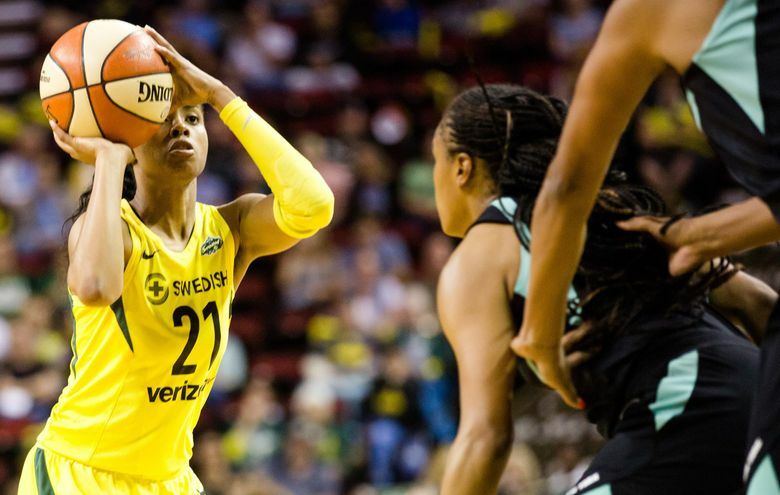 Seattle connected on 13-of-29 shots behind the arc and set the WNBA record for three-pointers in a season (296, which bettered the old record of 283). “Our game plan is not to go out there and shoot a ton of threes,” Bird who canned 3 of 4 from long range and finished with 13 points and six assists. “We have capable three-point shooters, and when they’re open, they’re going to shoot them. 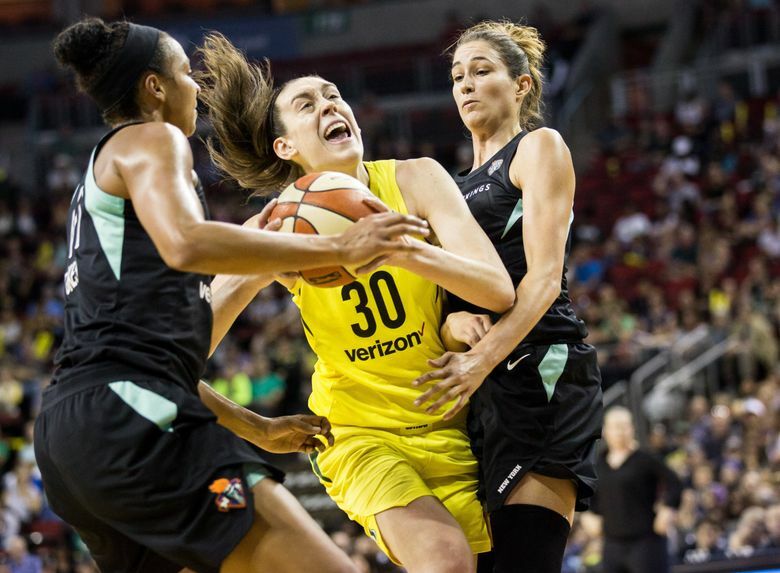 The Storm raced ahead to a 26-10 late in the first period, but over the next three quarters the Liberty slowly seized the momentum. 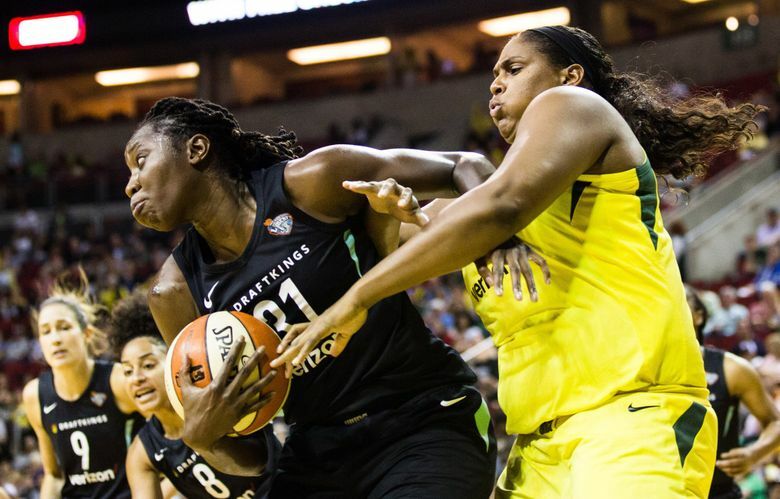 Seattle was up 46-43 at halftime before Tina Charles took over and gave New York a 54-52 lead late in the third with a step-back midrange jumper over Breanna Stewart. 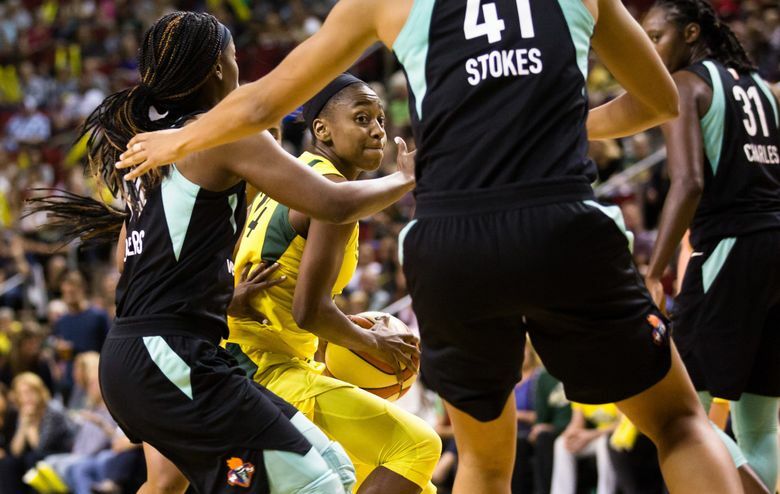 Charles scored eight of her team-high 21 points in the third. 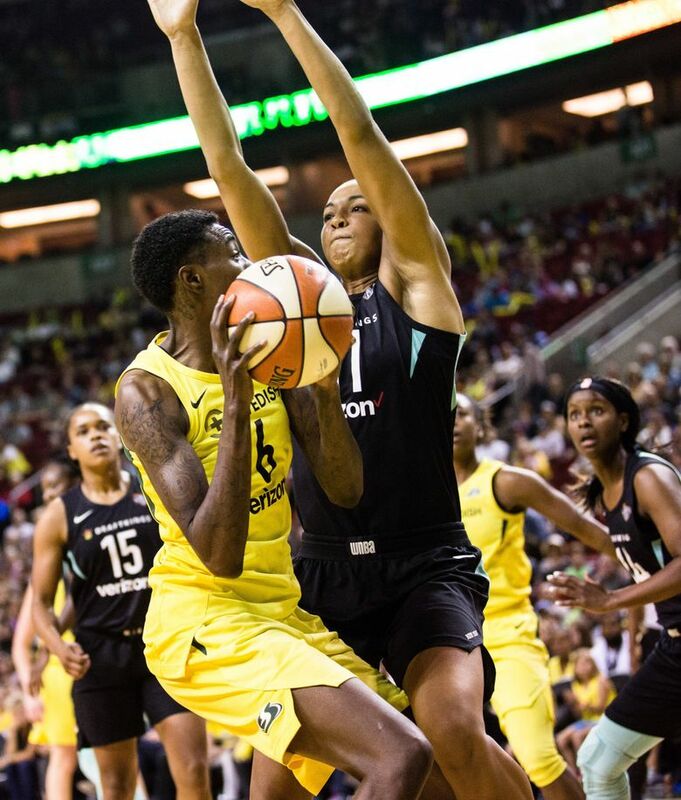 Falling behind served as wake-up call for the Storm, which went on a 10-4 run to regain control going into the fourth quarter up 62-58. 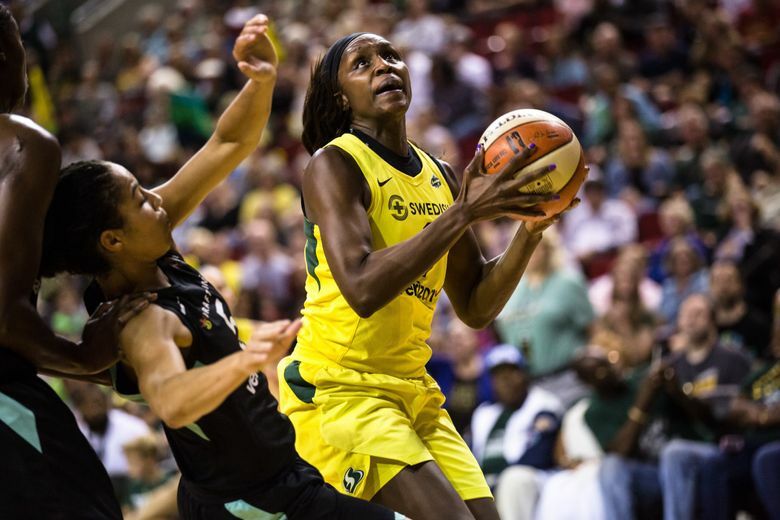 Despite missing four players to injury and having just eight available, the short-handed Liberty kept pace with the Storm for three quarters. 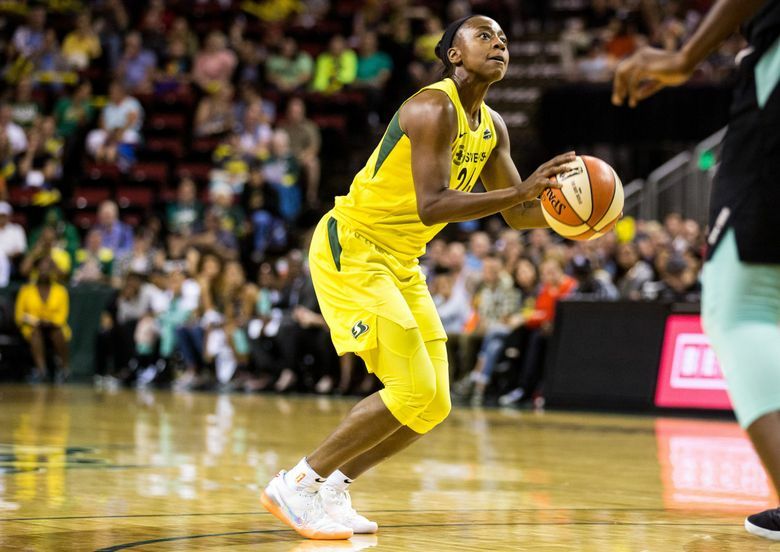 After New York pulled to within a point (62-61), Stewart drained a desperation three-pointer deep into the shot clock. 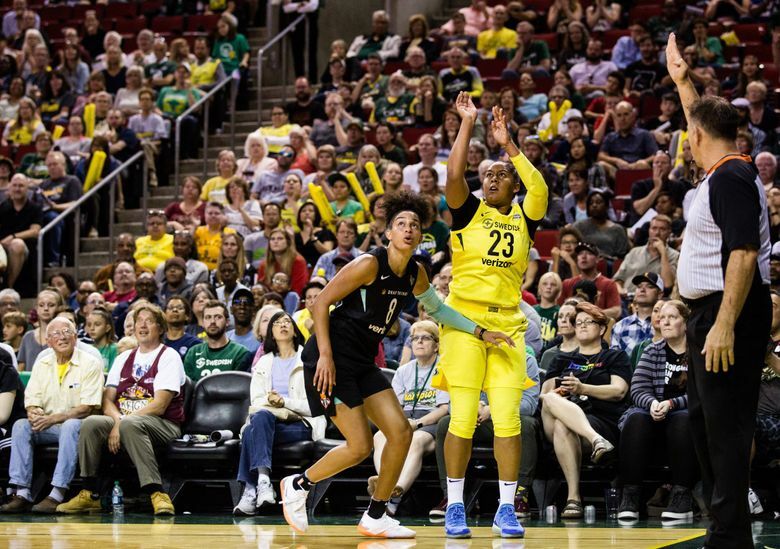 After rookie guard Jordin Canada drained another long-range dagger, Stewart forced Charles to miss a short jumper at the other end before backup guard Kaleena Mosqueda-Lewis knocked down another three-pointer. 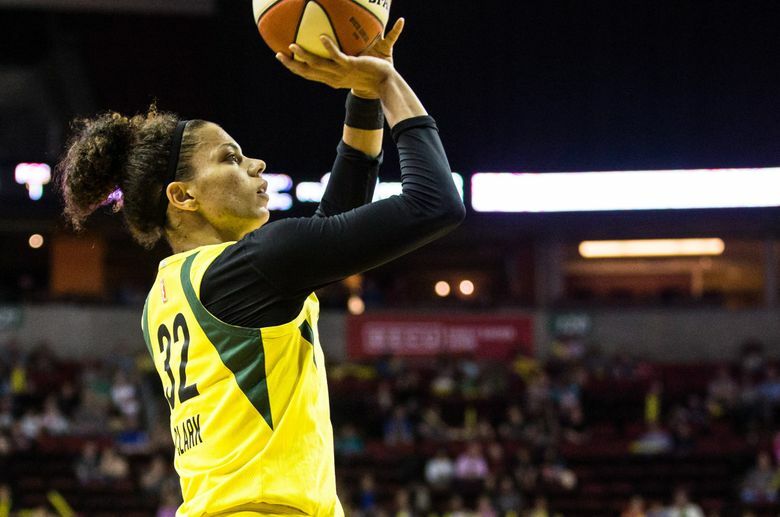 Stewart canned one last rainbow three-pointer to cap a 16-2 run and put Seattle ahead 78-63 with 5:08 left. It was another MVP-esque performance for Stewart, who needed just eight shots to finish with 22 points. She was 5 of 6 on three-pointers and had 15 rebounds. 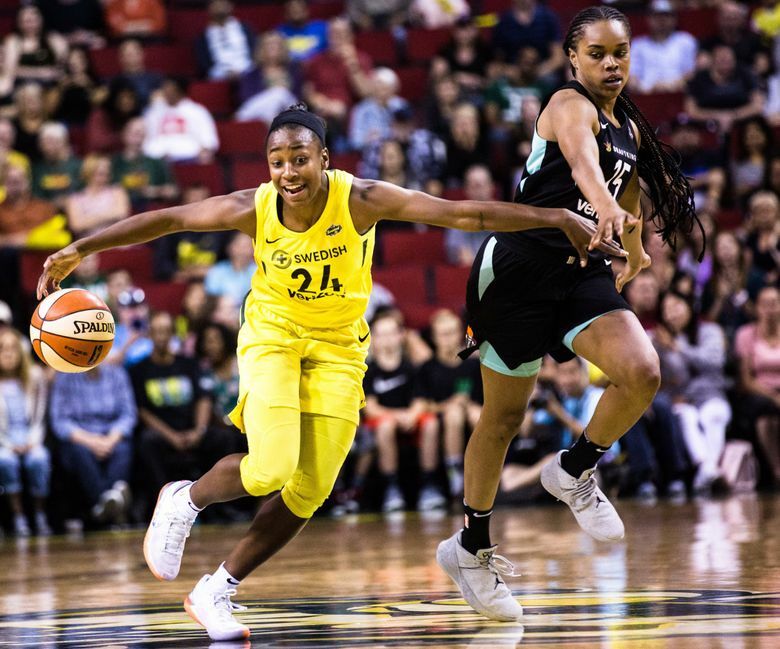 “I thought Stewie really made some big plays,” Hughes said. “Omigosh. The ones that we see when the points go on the board, but she made some tough plays rebounding. She made some defensive presence plays. I thought that really shot us forward down the stretch as well. 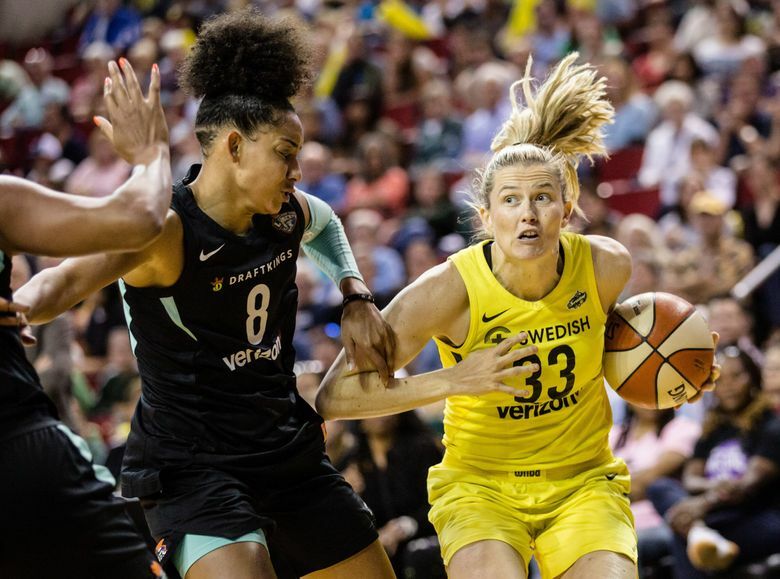 Sue Rodgers added 12 points and Brittany Boyd had 11 for New York (7-26), which had lost its previous 11 games and won just two games against a team with a winning record.